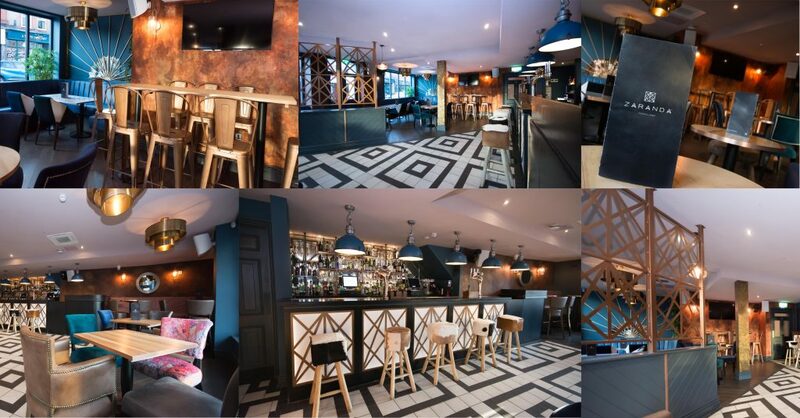 DV8 Designs have recently completed the refurbishment and rebrand of West Didsbury’s latest edition – Zaranda. It is a plush cocktail and music bar with accents of art deco throughout the design. The name Zaranda has African origins and our client was keen to keep a ethnic feel running through the space which we have incorporated with feature wall finishes and animal prints.